NOTE : CSS Code is the code between the and tags. 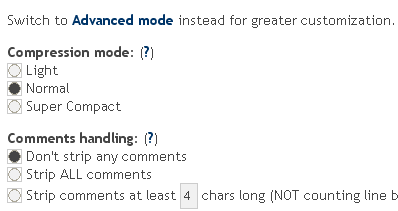 (b).Comments handling:- Select Don’t strip any comments. 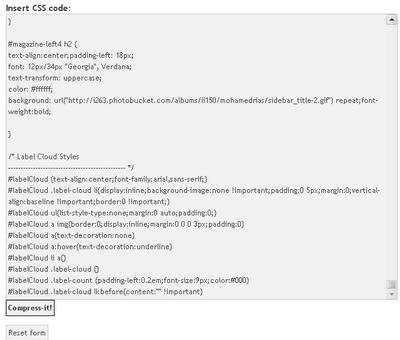 8.Now copy your Compressed CSS Code and paste it between and tags.